Having a straighter smile helps Brisbane CBD families and professionals to enjoy better oral health and renewed confidence. At First Dental Studio we offer clear aligners and fixed braces options to help you make your dream a reality. Each type is designed from clear or tooth-coloured materials that are practically invisible when you’re talking or laughing around other people. Just wear your aligners for 22 hours a day, removing them for brushing, flossing, and meals. The state-of-the-art digital mapping system will plan out your tooth movement so that you can move on to the next set of aligners for systemic tooth alignment. Dr Vincent Wan and Dr Allen Wan are both well-trained and certified in providing ClearPath™ aligner orthodontics. With Invisalign® braces, you can enjoy invisible braces with individualised treatment plans that meet your specific requirements. Like ClearPath, your aligners are removable and sent home in sets of three or four at a time. The treatment could be ideal for those with a busy schedule as dentist visits are only required approximately every six to eight weeks. 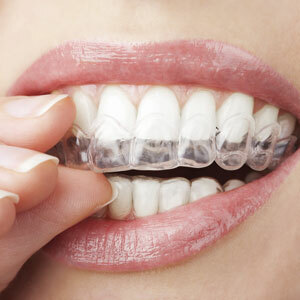 At First Dental Studio our dentist Dr Meena Hegde is qualified to provide Invisalign® Orthodontics. Do you need to straighten the visible teeth at the front of your smile? Quick Straight Teeth (QST) is a fast cosmetic orthodontic system that improves the alignment of specific teeth that matter the most to you. Instead of realigning your entire mouth, you can enhance your smile’s appearance through this fast cosmetic braces system. Because it is aesthetic in nature, QST takes approximately 6 months for most cases to achieve tooth alignment at the front of your mouth. You won’t have to spend two or three years in braces! Dr Vincent Wan and Dr Allen Wan have completed the Quick Straight Teeth Short Term Orthodontic Treatment Certification Course, making them both Quick Straight Teeth Certified Dentists. We offer free orthodontic consultations! Schedule a consultation at First Dental Studio to find out how we can help you enjoy a beautiful, straighter smile right here in Brisbane CBD.